Cricket has long held a place close to the heart of most South Africans. In this article, we’re going to take a quick look through the history of cricket in the country. South Africa became the third Test-playing nation in 1889, joining Australia and England. For many years, they were the more impoverished nation of the Ashes-playing combatants, and it took until the 1900s for them to record their first Test cricket victory. At this point, a golden era started, with players such as Aubrey Faulkner and Reggie Schwarz breaking into the team. South Africa continued to regularly tour Australia, New Zealand and England right up until the late 1960s when they were banned due to the country’s policy of apartheid. The country’s 22-year hiatus from the international scene meant players such as Barry Richards and Graeme Pollock, widely regarded as two of the finest batsmen of all time, were denied the chance to play much Test cricket. South Africa was allowed back to cricket in 1992, by which time the one-day international game was well-established. Players such as Jacques Kallis, Shaun Pollock and Gary Kirsten came through in the 1990s and made the Proteas one of the world’s most feared sides. Unfortunately, the team developed a reputation for ‘choking’, most notably in the 1999 World Cup, where they somehow managed to lose to Australia in the semi-final despite dominating the game. They were again knocked out early in 2003, despite hosting the tournament, and to date, they are yet to win, let alone appear in a final, in the 50 or 20 over Cricket World Cups. 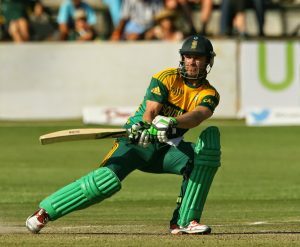 Despite this, South Africa has often occupied the world number one ranking in all forms of the game, and are still seen as one of the world’s great cricket sides.